MARKTEC’s Fully Automatic MT System provides quantitative evaluation and automatic adjudication for automobile part inspection using image processing technology. Flaw detection performance system is stable and dependable when using our newly developed magnetic liquid particle inspection evaluation unit. OK / NG judgment standard is quantified by image processing using a CCD camera, virtually eliminating human error. 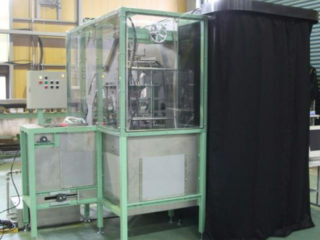 By using a 3-pole coil method, MARKTEC’s Fully Automatic MT System can detect any defect without interrupting production or touching the product. 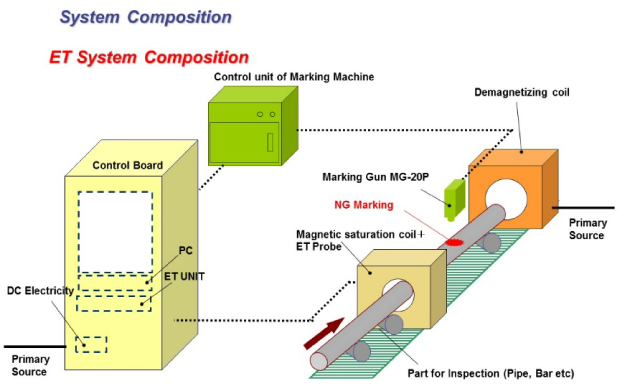 MARKTEC’s Fully Automatic MPI System Super Line-Magna provides quantitative evaluation, speedy automatic adjudication for steel billet inspection using image processing technology. 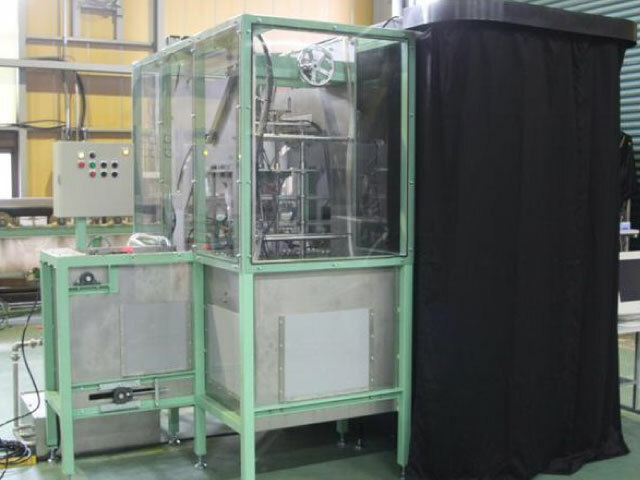 Fully automatic, in-line continuous inspection using a CCD camera and image processing unit, gives workers complete control from the operation room, therefore eliminating the need for workers in the inspection area. 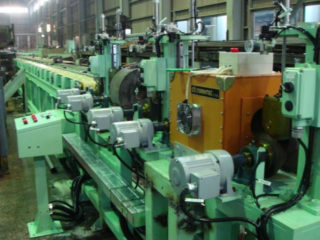 Fast inspection speed, up to 40 m/min. Outputting map-data of flaw positions for each divided section size, which is 100 mm (longitudinal) x 20 mm (circumferential) of the billet surface. 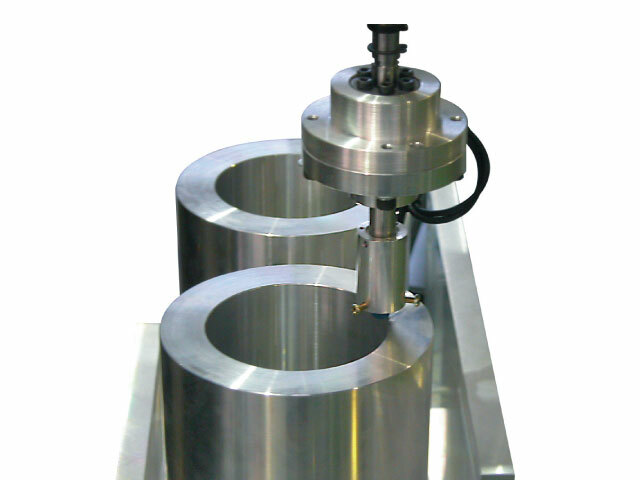 This testing unit uses a special air pressurized attachment that hovers over the bore areas and on the surface of a cylinder block head, eliminating physical contact or contamination. detect the flaws on the bore surface without contact. 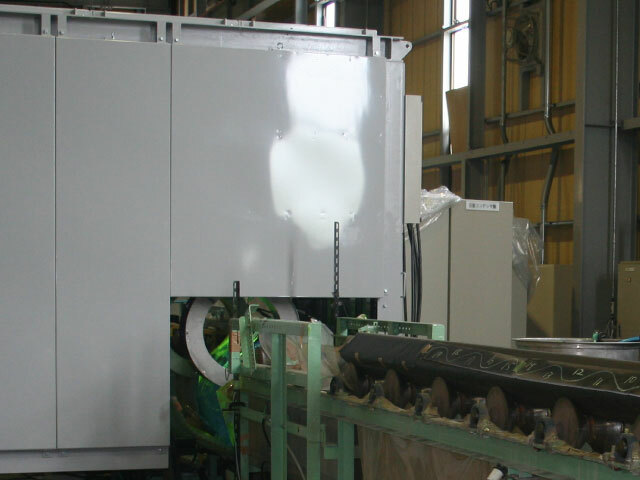 Penetrating Eddy Current Testing Unit detects surface cracks on narrow and long parts such as in-line steel bars. A pipe is transported by a roller conveyor, and any surface cracks are detected by running it through the penetrating ECT coil. Judgments are made, and any NG output information is received by the ET unit. This unit can combine with the NG marking unit which paints NG markings on certain parts of the moving product.